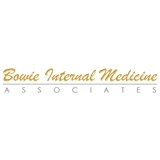 Bowie Internal Medicine (Bowie) - Book Appointment Online! Bowie Internal Medicine is a group of four physicians and two certified nurse practitioners specializing in adolescent, adult, and geriatric medicine. We have been serving the community for over 40 years for all general medical and many minor surgical and gynecological problems. As internists, we are committed to the total care of the patient, and have a strong philosophy of providing preventive care in such areas as cancer screening and cardiac risk reduction. In addition, our specialist in gastroenterology is available to you. All of our internists are board certified.